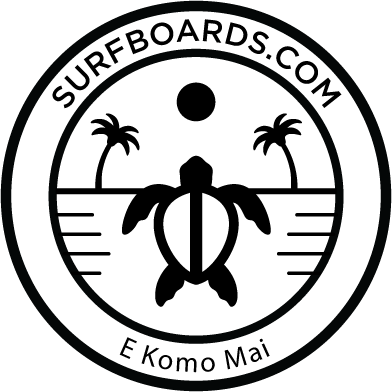 "Surfboards.com" and others are our registered marks or registered service marks or trademarks. Other product and company names mentioned on the Site may be trademarks of their respective owners. You are granted a non-exclusive, non-transferable, revocable license (a) to access and use the Site strictly in accordance with this Agreement; (b) to use the Site solely for internal and personal uses; and (c) to print out discrete information from the Site solely for internal, personal, non-commercial purposes and provided that you maintain all copyright and other policies contained therein. No print out or electronic version of any part of the Site or its contents may be used by you in any litigation or arbitration matter whatsoever under any circumstances. Your license for access and use of the Site and any information, materials or documents (collectively defined as "Content and Materials") therein are subject to the following restrictions and prohibitions on use: You may not (a) copy, print (except for the express limited purpose permitted by Section 4 above), republish, display, distribute, transmit, sell, rent, lease, loan or otherwise make available in any form or by any means all or any portion of the Site or any Content and Materials retrieved therefrom; (b) use the Site or any materials obtained from the Site to develop, of as a component of, any information, storage and retrieval system, database, information base, or similar resource (in any media now existing or hereafter developed), that is offered for commercial distribution of any kind, including through sale, license, lease, rental, subscription, or any other commercial distribution mechanism. THE INFORMATION, CONTENT AND DOCUMENTS FROM OR THROUGH THE SITE ARE PROVIDED "AS-IS," "AS AVAILABLE," WITH "ALL FAULTS", AND ALL WARRANTIES, EXPRESS OR IMPLIED, ARE DISCLAIMED (INCLUDING BUT NOT LIMITED TO THE DISCLAIMER OF ANY IMPLIED WARRANTIES OF MERCHANTABILITY AND FITNESS FOR A PARTICULAR PURPOSE). THE INFORMATION AND SERVICES MAY CONTAIN BUGS, ERRORS, PROBLEMS OR OTHER LIMITATIONS. WE AND OUR AFFILIATED PARTIES DISCLAIM ANY LIABILITY DUE TO THEIR INACCURACY. You understand and agree that you are personally responsible for your behavior on the Site. You agree to indemnify, defend and hold harmless Swiecki Enterprises, Inc., its parent companies, subsidiaries, affiliated companies, joint venturers, business partners, licensors, employees, agents, and any third-party information providers to the Service from and against all claims, losses, expenses, damages and costs (including, but not limited to, direct, incidental, consequential, exemplary and indirect damages), and reasonable attorneys' fees, resulting from or arising out of your use, misuse, or inability to use the Site, the Service, or the Content, or any violation by you of this Agreement. Swiecki Enterprises, Inc. does not want to receive confidential or proprietary information from you via the Site. You agree that any material, information, or data you transmit to us or post to the Site will be considered non-confidential and non-proprietary. 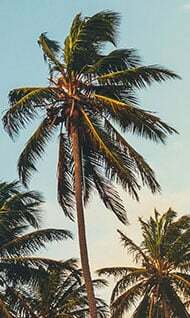 If you supply or post any information or material to the Site, you guarantee to us that you have the legal right to post such material and that it will not violate any law or the rights of any person or entity. By posting material on the Site, you give Swiecki Enterprises, Inc. the royalty-free, irrevocable, perpetual, worldwide right to use, distribute, display and create derivative works from this material, in any and all media, in any manner, in whole or in part, without any restriction or responsibilities to you. b. Correction of Errors and Inaccuracies. The Content may contain typographical errors or other errors or inaccuracies and may not be complete or current. Swiecki Enterprises, Inc. therefore reserves the right to correct any errors, inaccuracies or omissions and to change or update the Content at any time without prior notice. Swiecki Enterprises, Inc. does not, however, guarantee that any errors, inaccuracies or omissions will be corrected.